Join Alex the Lion, Marty the Zebra, Melman the Giraffe, Gloria the hip hip Hippo and those hilarious, plotting penguins as they bound onto stage in the musical adventure of a lifetime. 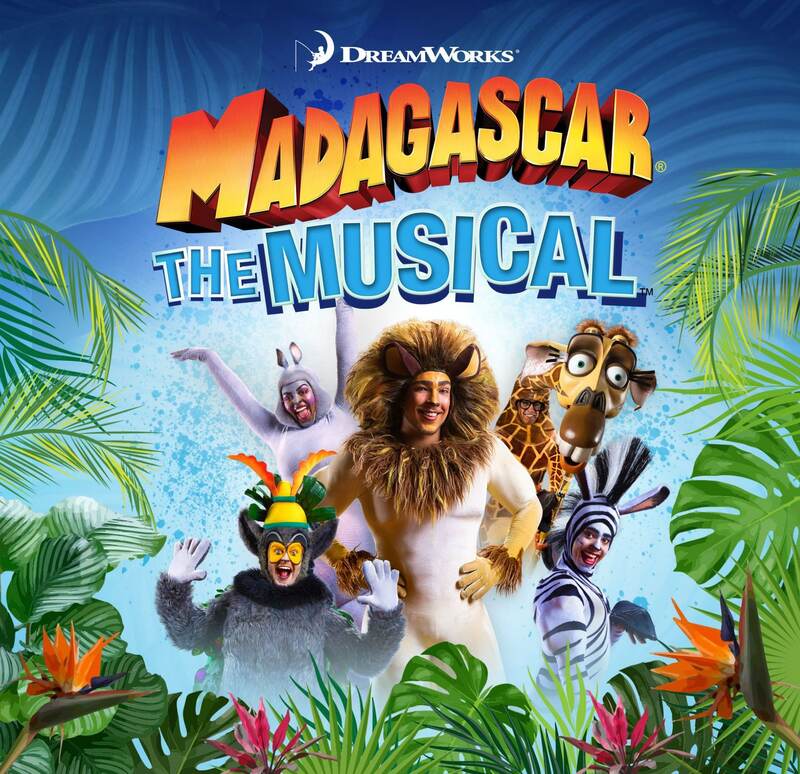 See the smash movie, Madagascar, come to life on stage! Featuring all your favourite furry friends, escaping the zoo has never been more exciting! 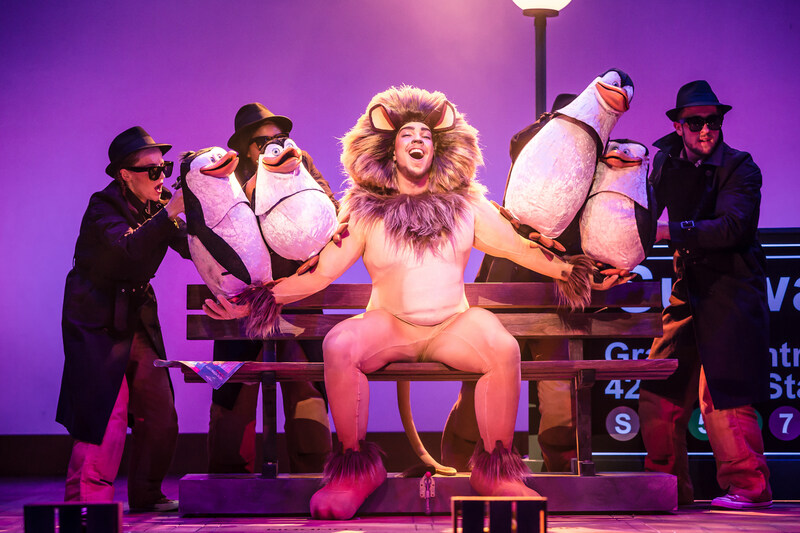 Madagascar – The Musical has confirmed that X-Factor Winner Matt Terry will continue in the role of Alex the Lion on the critically acclaimed UK tour for 2019. Since winning X-Factor, Matt has been non-stop. He’s been recording music all over the world including Miami, LA and Scandinavia. After a top 3 hit with Ed Sheeran penned winner’s single When Christmas Comes Around, he released his debut album Trouble in November 2017. Matt’s role in Madagascar has been hailed as a triumphant debut theatre performance, receiving 5-star reviews across the tour. Box Office opens at 12:00 and closes 15 minutes after show start. On non performance days, Box Office closes at 4pm. If there is a performance on a Sunday or Bank Holiday, Box Office will open 2 hours before show start, and close 15 minutes after the show start. 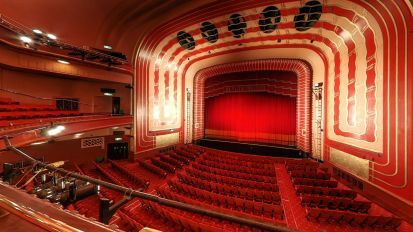 There is a large air-conditioned bar with seating located below the Stalls foyer, two furhter bars in the Circle Foyer and one at the back of the balcony. All stocked with an array of drinks and snacks. Avoid the queues and be our guest in the Ambassador lounge. Add some sparkle to your night out and enjoy a show with bespoke service. There is a cloakroom located in the stalls bar. If this is closed please speak to a member of staff. £1 per item. It is free to ATG Theatre Card memebers. There has been a theatre on George Street for almost 170 years. The first theatre was built in 1836, and a second in 1886. In 1934, the third New Theatre opened. 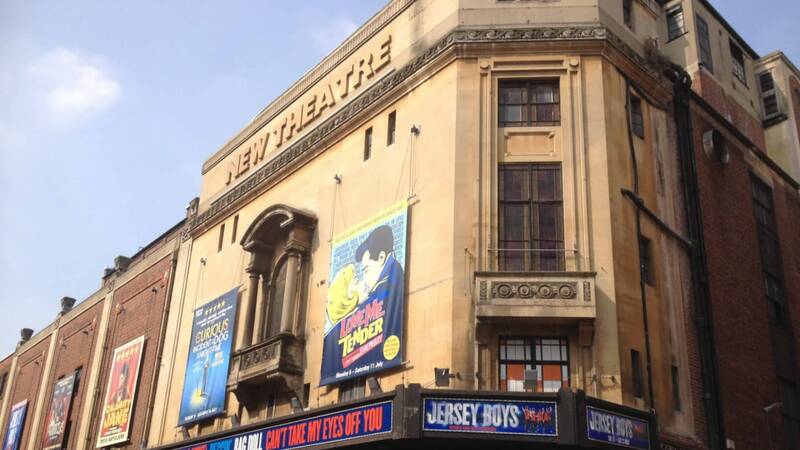 The theatre has been owned by several different companies and undergone several name changes. It is now owned by the Ambassador Theatre Group and hosts everything from ballet and opera to musicals.